Hydrainer have recently added 2″ & 3″ Ingersoll Rand ARO Pit Boss Air Pumps to their extensive range of submersible pumps and are a National Distributor for the pump with full manufacturer backup and support. 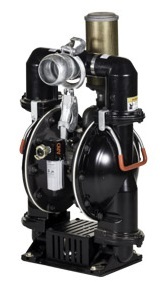 Performance – Pit Boss pumps deliver industry leading performance with powerful suction lift and flow rates of up to 217 gpm, to handle the most demanding jobs. Reliability – diaphragms that last up to four times longer than competitive models. Removable Screened Inlet – keeps foreign particles out of the pump to eliminate failure related to debris. One-way exhaust check valve – permits submersible operation. Integrated base plate – distributes weight and ensures operation on soggy and unstable terrain.